This order was received in good condition today, Thank you for the excellent service. Thank-you for the inquiry. My order did arrive extremely promptly & in excellent condition. The customer service department is exemplary! 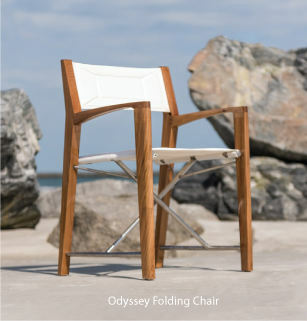 I am looking forward to being able to buy additional teak furniture in the future. I will be pursuing outdoor chairs to go with my round picnic table. Thank you for the followup. The furniture arrived timely and in perfect condition. I chose Westminster Teak over Restoration Hardware and your set is superior. The quality of your product is excellent and the customer service was informative and very friendly. I would highly recommend your product and company. The furniture arrived quickly and in perfect condition. we love how it all looks. lots of compliments on it from family and friends. thanks. The teak chaise did indeed arrive intact. We are very satisfied with your service and quality. My shipment arrived on time and I love it!! I will definitely use your company in the future!! Thank you for everything! Yes, we are enjoying our product and it arrived intact and in fine shape. We are very satisfied with the product. The teak furniture arrived in tact and looks beautiful. Jeremy - I love your company! Great customer service and feel free to pass this along to your boss!! The teak bench arrived in perfect condition and it is lovely. Exactly what we were looking for!